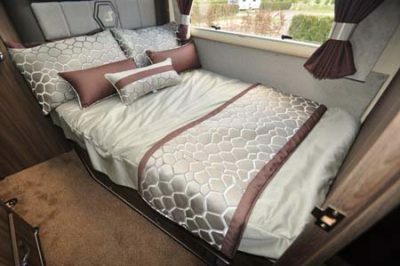 Motorhomes come in lots of different shapes and types and when it comes to motorhome beds there are a variety of different layouts – mainly depending on your chosen motorhome type. From fixed beds, to overcab beds, to drop down beds, where you choose to sleep at night will very much determine your choice of motorhome – and it’s often a very personal choice. It will also depend on how many people intend to use the ‘van and how much space you want to preserve for living. Some motorhome owners might not have a choice of layout, but in our new poll we’d like to know your favourite sleeping arrangements and motorhome beds layout. If you’re travelling with kids, then bunk beds might be a popular option – often found at the back of a motorhome – or you might want a space-saving drop down bed which doesn’t need any bed making. What's your favourite motorhome beds layout? 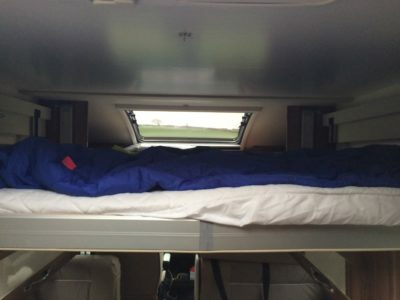 Fixed single or double motorhome beds also mean no bed assembly is needed or as an alternative a French bed will give you a bit more space to get around. Island motorhome beds are often reserved for the luxury end of the motorhome market – with space either side there’s no clambering over each other to nip to the loo – and they’re often more comfy than an overcab bed. But it will likely mean space is compromised elsewhere. Vote for your favourite motorhome beds layout and tell us why you prefer that style of bedroom layout in the comments below. I wish that I could find an affordable Motorhome with an “Island Bed”, as it is quite claustrophobic to sleep on the inside of our fixed double bed. As you say if either needs the loo!I have a Fiat Ace Modena with a fixed double bed at the rear of the motorhome.